During a nasal endoscopy, doctors found a cockroach sitting on the skull base, close to the brain, and between Selvi’s two eyes. CHENNAI: After a long day at work, Selvi (42) hit the bed soon and was fast asleep when a weird sensation woke her up around midnight on Tuesday. She felt that some insect had crawled up her nose and dragging her son-in-law along, she immediately went to the nearest clinic and then to another, before finally reaching the Government Stanley Medical College Hospital the next morning. There, during nasal endoscopy, the doctors found that what she felt was true. Sitting on the skull base, close to the brain, and between Selvi’s two eyes, was a cockroach. And it was alive. “This is the first such case I have seen in my three decades of practice,” said Dr M N Shankar, head, ENT department at the hospital. Recalling the hours of trauma, Selvi, a domestic worker living in Injambakkam, said her immediate reaction after feeling the crawling sensation in the right nostril was to brush it off in half sleep. But before she could do anything, it went inside. At the first clinic, the doctor checked with a torch, made a few calls to other doctors, but said he would not be able to help and referred to another hospital. The next doctor said there was a skin growth inside her nose which she thought was crawling sensation. “I could not explain the feeling but I was sure it was some insect. There was a tingling, crawling sensation. Whenever it moved, it gave me a burning sensation in my eyes. I spent the entire night in discomfort, sitting up and waiting for dawn to go to Stanley hospital after getting the reference of a doctor from my employer,” she said. 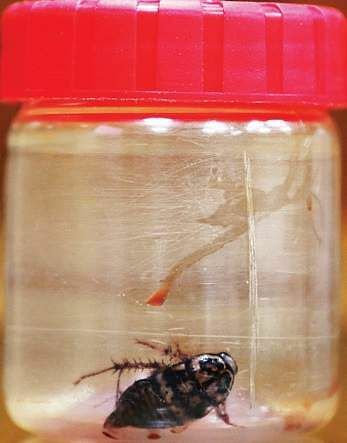 Even the doctors Stanley Medical College Hospital, who had seen their share of maggots to houseflies in nostrils, were shocked to find a cockroach, that too a live one lodged inside the skull. 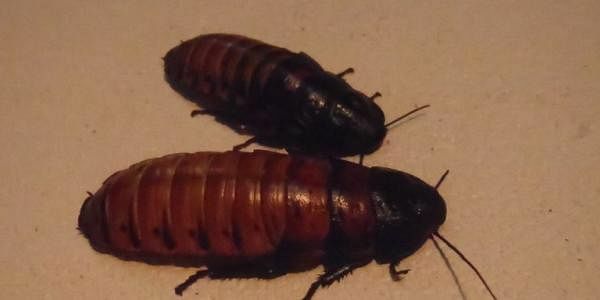 The doctors removed the cockroach using clamps and sucker. “It was difficult to remove it because of the place it was sitting in. I had to first drag it to a place from where I could pull it out. It was finally removed after 45 minutes,” the doctor added.